Paper has inspired creativity in people since its inception. 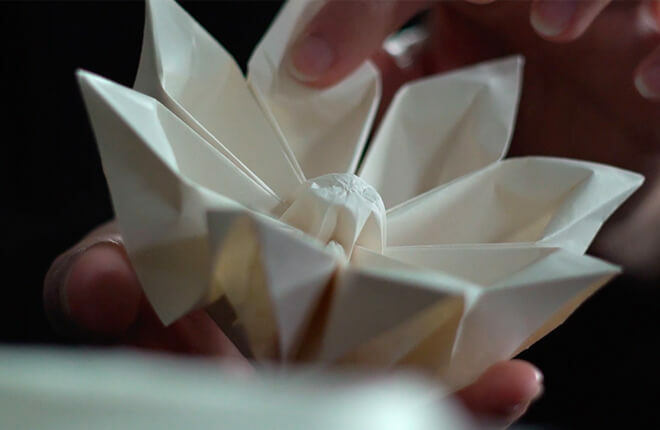 The Japanese were the first to fold paper into an art form. Origami is one of the oldest forms of using paper creatively. The origin of the word “origami” comes from the Japanese words, oru “to fold” and kamiwhich means “paper”. Over time the materials used in origami have evolved, and the possibilities for what you can make are almost endless! There are now countless shapes to choose from when making origami. The classic paper crane is usually the first to come to mind, but you can make everything from flowers to more complicated folds like jumping frogs that actually move. People have made extinct dinosaurs and imaginative unicorns. There is truly something for everyone. The materials used to make origami have evolved as the popularity of the craft has grown. All types of paper are now used by paperfolding enthusiasts. Types of handmade paper, printer paper, and even wrapping paper can be used. Now, there is even a trend for “green” crafting that uses materials that would have otherwise been thrown away. You can now reuse old newspapers, magazines, and junk mail to make origami. This is a nice way to make creativity sustainable! Hammermill believes in inspiring people with “Paper for Creativity” by sharing ideas and resources to help spark imaginations. Interested in learning the basics of origami? You can download our instructions for some fun origami basics here.